Randy, Prairie born and raised, graduated from the Royal Military College of Canada (RMC) in 1971 and commissioned into the Royal Regiment of Canadian Artillery as a Gunner Officer. He is an unabashed nomad in describing his many postings over his 36 year career in the service of Canada. He married Gloria the summer of graduation, and they began their adventure serving across Canada and in Germany and Great Britain. Randy was the first Commanding Officer of the 4th Air Defence Regiment, stationed with Canadian Forces Europe with sub-Units on Base Lahr, and Base Baden-Solignen Germany. For four years he also influenced the development of future generations of Officers as a valued member of the Directing Staff of the Canadian Army Staff College in Kingston. His specialty is Air Defence Artillery and he was instrumental in the development of the Low Level Air Defence capability that was deployed in Germany. Randy retired from service as a Lieutenant Colonel after 36 years of service. Randy has a wealth of knowledge and an acute understanding of the impacts of service life. He knows the struggles that Veterans face; be it, in transitioning from the service to civilian life, in gaining access to services in a timely manner and in the well-being, care and support of Veterans and their families. These qualities will continue to serve all Veterans as the NVOC carries on its fine tradition of advocating and giving voice to the needs of our Veteran family. Born in Galt, Ont (now part of Cambridge) Jarrott was an Army brat who spent his formative years in Camp Borden and attended Banting Memorial High School in Alliston. He graduated from Royal Roads and RMC (first graduating class to be awarded a BA from the college) and enjoyed a 35 year career in the RCASC and later Logistics. Jarrott served two tours in Europe, the first in Soest and the second in Lahr and a one year tour as an Observer with the UN in UNMOGIP. In addition, he held numerous staff positions both at NDHQ and FMC HQ, and commanded 3 Svc Bn in Gagetown and 4 Svc Bn in Germany. He attended numerous military and civilian courses including French language and the CFSC in Toronto. On retiring he worked as a civil servant at NDHQ for five years and then spent a further five years as a transportation consultant on various projects. Currently he is involved with a number of organizations - past president of the Friends of the Canadian War Museum (FCWM) which he held for almost 12 years and during that time he lobbied for and helped raise almost 17 million dollars for the new museum. He remains with the FCWM as the Director of Resources and sits on several committees including Governance. He is the Central Region Director (ON and QC) for CAVUNP, Past President NATO Vets Org, Past President Ottawa Branch of the RMC Ex-Cadet Club, member of the Old Brigade Advisory Committee for Ex-Cadets, Class secretary for his RMC graduating class, a member of the Legion and the RCASC Association and Chair of the Fund Raising Committee of the Orleans Cumberland Community Resource Centre where he also helps out with other tasks including delivering food, collecting coin boxes and helping out in the Food Bank on special occasions. He is married and recently celebrated his 50th anniversary. He and his wife have two children - one of each and four grandchildren - 18, 17 and twin boys almost six. The oldest recently started at U of T.
He loves to travel and is working on seeing those parts of the world that were not seen when he was in the military - doesn't think they'll even come close but it's fun trying. Jarrott golfs, curls, bikes, hikes, cross country skis, dotes on his grandchildren, likes wine, good food and conversation and just enjoying every day as it comes. Ken grew up in Aylmer Ontario and joined the Navy as an Ordinary Seaman out of high school at the age of 17. His younger days were spent in Halifax, NS aboard ships and ashore. At unification he spent three years in Lahr, Germany as a token sailor. On two occasions he served with the Standing NATO Force Atlantic. He finished his career as the Provisioning Officer for the Canadian Patrol Frigate Project. Thirty-seven years later he retired as a Chief Petty Officer 1st Class. CWO Ted Bransfield enrolled in the Canadian Forces in 1981 from the Miramichi in New Brunswick. He has been posted to a number of Combat Engineer units in locations around the world. After basic trade qualifications, he was posted to 1 Combat Engineer Regiment in Chilliwack, B.C. After three years developing his skills as a Sapper, he was posted to 4 Combat Engineer Regiment, Lahr, Germany, in 1985. On his return from Germany, he was promoted to Sgt and posted to 22 Field Squadron in Gagetown, N.B., for one year. During that time, he was involved in the Oka Crisis. With his experience and expertise, he was sent to the Canadian Forces School of Military Engineering, Chilliwack, B.C., for four years teaching bridge building and water purification. After the School, he returned to 1 Combat Engineer Regiment where he deployed as the Recce Sgt to Bosnia in 1997 and again in 2000 to Bosnia as a Field Troop Warrant Officer. During his time in 1 Combat Engineer Regiment, he was involved in numerous major bridging projects. He was intimately involved commanding the construction of a 300-foot floating bridge in Atoka, Bosnia, a 200-foot ACROW bridge in the village of Wainwright, a 120-foot ACROW bridge across the Battle River at Base Wainwright and a 120-foot Bailey bridge in the most southern part of Afghanistan which he constructed under combat conditions. In 2002, he was posted to Land Forces Western Area Training Center in Wainwright where he spent two years as Tp Commander of 1 Engineer Equipment Troop. In 2004, he was promoted to MWO and appointed Squadron Sergeant Major of 11 Fd Sqn, 1 Combat Engineer Regiment, and deployed to the High Arctic twice. From January to August 2006, he was deployed to Kandahar, Afghanistan, as part of Operation ARCHER ROTO 1, as part of Operation ENDURING FREEDOM, the US-led war on terrorism. After returning from Afghanistan, he was posted to Land Forces Western Area HQ's in Edmonton as the Area Engineer Operations MWO. During his time there, he completed his Certified Engineering Technician qualification. CWO Bransfield was then posted to Canadian Expeditionary Force Command (CEFCOM) in 2009 as the Joint Engineer Operations 2 MWO and appointed as the HQ's Sergeant Major. He was involved in all engineering aspects of operations in Afghanistan, the earthquake disaster in Haiti and many other operations around the world. CWO Bransfield was appointed the OS Engineer Group CWO, Canadian Operational Support Command (CANOSCOM), on 22 June 2011. CWO Bransfield was appointed as the RSM of the new Canadian Joint Operations Command Head Quarters (CJOC HQ) on 05 October 2012 to 08 Sept 2016. CWO Bransfield retired on 08 November 2016 having completed over 35 years of service to Queen and country. Mr. Matthew Carson, a Veteran of 17 years, served from 1955 to 1969 in the RCAF, and from 1972 to 1975 in the Canadian Forces Air Reserve. His past service included participation in reconnaissance, arctic sovereignty, and mapping, as well as ice patrol and search and rescue flights in the Arctic on Lancasters as an Airframe Technician with 408(R) Sqn., followed by a tour of NATO duty at 4(F)Wing Germany on Sabres with 422(F) Sqn. On returning to Canada he was posted to CFB Gimli, and was on the team introducing the Canadair Tutor into service. He attended the Flight Technician course at CFB Borden in 1965, qualifying in all aircraft trades, and after attending Flight Engineer School at CFB Trenton in 1968, was posted to 412(T) VIP Transport Sqn. His reserve service was with 400 Sqn. in Toronto, and 401 Sqn. in Montreal. Honorably released from the RCAF in 1969, he joined Pratt & Whitney Canada's Experimental Flight Test Unit where he remained for five years, followed by five years as Service Supervisor with the Bendix Corpn. He rejoined Pratt & Whitney and served ten years as a Senior Field Service Engineer, and several Management positions in Technical and Airline Support, including Technical Support Manager PW100 Engines, and Manager International Field Operations. He then joined the parent US Pratt & Whitney Company and served overseas in Germany, Switzerland, Ireland and France as a Senior Field Service Engineer supporting various European and North African Airlines, before returning to Canada as Senior Field Support Engineer supporting various Canadian airlines. He retired in 2002. In recognition of his service to the Canadian aircraft industry he was promoted from Member to Associate Fellow of the Canadian Aeronautics and Space Institute Flight Test Group. He is also a Member of the Royal Aeronautical Society, the Canadian Military Flight Engineers Assn., and the Ontario Aircraft Maintenance Engineers Assn., as well as the Experimental and Vintage Aircraft assns. He remains active as a Transport Canada licenced Aircraft Maintenance Engineer, and enjoys constructing and maintaining vintage aircraft. Matthew continued to serve his community as a member of the Executive of the Canadian Aeronautics and Space Institute - Quebec branch, Technical Director of the Canadian Aviation Heritage Center and the Centennial Bleriot Aircraft project , a member of the Executive of the Canadian Aviation Historical Society in Quebec, and now as Colour Sergeant, Parade Commander, and Veterans Service Officer, and member of the Executive of Branch 240 of the Royal Canadian Legion in Almonte Ontario. He currently also serves as Vice President of 410 Wing - Royal Canadian Air Force Association. He is also Veterans Flight Commander for the National Battle of Britain Parade. 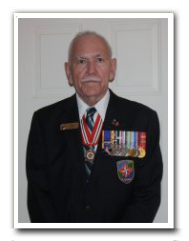 Matthew served as National Secretary, Adjutant, and Membership Chair of NATO Veterans of Canada, a Veterans only organization, and continues in NVOC as Director of Membership & Provinces and Territories, and Chairman of the local NVOC Ottawa/Gatineau Unit. He was awarded the Queen Elizabeth Diamond Jubilee Medal for his "contributions to Canada", and the Governor General Sovereigns Medal for Volunteers. His military medals include the Canadian Forces Decoration, and the Special Service Medal - NATO bar. 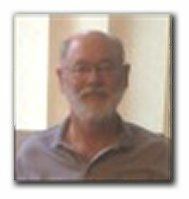 Membership Gary was born in Montreal in 1936 and raised on a farm in the Eastern Townships of Quebec. He served for seven years in Fleet School, Halifax in software maintenance/development, in Tribal Class training development and as an instructor. Gary was promoted to Lieutenant Commander in 1974 and qualified as a Combat System Engineer (CSE) in 1976. He served in HMCS Iroquois as CSE from 1976 to 1979, and then was posted to NDHQ in 1979 as a project officer in the Submarine Operational Update Program. He was promoted to Commander in 1983 and served as DMCS2, Section Head for Surface and Air Weapons till his retirement in 1987. He was then employed by Paramax, the combat systems contractor to Saint John Shipbuilding for the Canadian Patrol Frigate program, as Section Manager for Trials Development in Montreal and then as Department Manager for Trials Implementation in Halifax, Saint John, and Lauzon, QC. He retired for the second time in 1992. 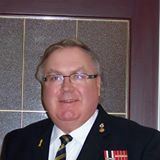 Gary has been a member of the Royal Canadian Legion since 1990, serving in two Branches as Secretary, Treasurer, Sergeant-at-Arms, Parade Marshal and President. 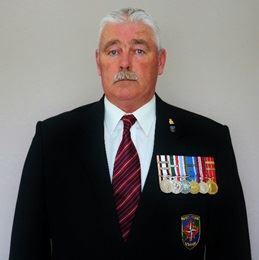 He was awarded Life Membership in the Legion in 2012. In addition to his Legion Branch work he has been a Legion Zone Treasurer, Chair of Property and Finance and Peoples Warden for Saint Paul's Anglican Church in Almonte, Treasurer for the Hub Hospice Palliative Care, a member of the Almonte Amateur Radio Club and a volunteer radio operator at the Diefenbunker. Gary was awarded the Queens Jubilee Medal in 2015. Gary and Vivian Dole were married in 1961 and have four grandchildren. Their son lives in Dartmouth, NS, with his family. They lost their daughter to cancer in 2011. John Stuart was born in Barrhead, AB on December 17, 1939 and joined the Canadian Army Officer Candidate Program (OCP) in September 1960. He was commissioned into the Royal Canadian Army Service Corps (RCASC) in August 1961 and in the following 34 year career he served as a line and staff officer in many combat service support units such as HQ Canadian Based Units Europe Soest, Germany; 56 (Cdn) Tpt Coy RCASC, UNEF; the RCASC School; 4 Tpt Coy RCASC; 1 Service Battalion, Calgary during which he was appointed Movement Control Officer for the ACE Mobile Force Land Battle Group (Norway) from 1968/72. In 1972, he was posted to CFB Shilo, MB followed by postings to RSS Pacific and 4 Svc Bn Lahr, Germany. In 1980, John was posted to CFB Moose Jaw, SK until 1982 when he was appointed CO, CFRC Saskatoon. In 1984, he was posted to NDHQ Ottawa as Director Transport Resources and Plans (DTRP) 3-3, Requirements Officer for the CF administrative vehicle fleet. Upon promotion to LCol in 1988, he was appointed DTRP2 with primary responsibility for NATO, NORAD and UN deployment plans and management of the NDHQ Movement Control Centre. In May 1990, he was appointed acting DTRP also serving as J4 Movements on the DCDS Crisis Action Team (CAT) during the Oka and Gulf war crises. In October 1990 he was attached to HQ CF Middle East, Manama, Bahrain as Deputy Chief of Staff Support. On return to Canada in April 1991, he was appointed as Project Director, Military Operational Support Trucks; but, within a year was returned to DTRP2 (now D Mov 3) and the CAT as J4 Movement Plans. He retired from the CF in May 1994; but, was asked to return on extension of service to coordinate and arrange a Remembrance Day ceremony in Hong Kong including a delegation of Canadian Hong Kong veterans. His final serving date was 16 April 1995. John was appointed as an Officer in the Order of Military Merit in 1988 and to the Order of Bahrain (Second Class) in 1991. He was also awarded the Commanders Commendation and Mentioned in Dispatches (MID) for his Gulf and Kuwait War 1990-91 service and has the Canadian Forces Decoration (CD) with two clasps. 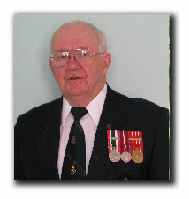 He was awarded the Minister of Veterans Affairs Commendation in 2010. 20 year member of the Royal Canadian Legion (RCL). 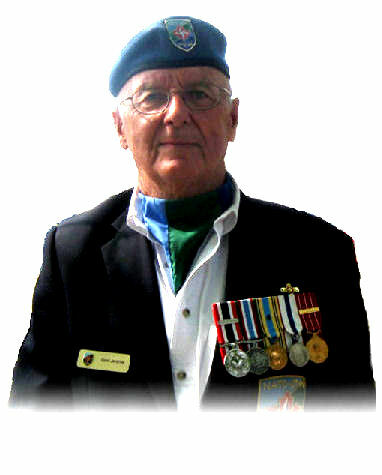 18 year member of the Canadian Association of Veterans in UN Peacekeeping (CAVUNP). From 2002 John has edited the 32 page Thin Blue Line which is the newsletter of CAVUNP in which he informs CAVUNP members and other veterans of matters that relate to veterans. Rick was born in the town of Marpole just outside of Vancouver in November 1948. He was raised on Air Force Bases until his father retired while in Ottawa in 1966. The family moved to Burnaby BC where Rick joined 15 Field Regiment in 1967. In 1968 he joined the regular force and was eventually posted to 2RCHA in Gagetown in December of that year. He was posted as a Artillery Technician to 1RCHA in Germany in August 1969. He left Germany in January 1972 as an Officer Cadet He was posted to CFB Chilliwack to start his career as and Artillery Officer. He had two tours with 3RCHA in Shilo, a tour with W Battery in Gagetown, He also spent four yeas in Shilo as the Regimental Adjutant RCA, and four years as a staff officer with Prairie Militia Area Headquarters in Winnipeg; from where he retired in 1989. While in the military Rick acquired a BA in Sociology from the University of Manitoba by attending night school and taking correspondence courses. In 1994 Rick receive a M Ed in Educational Policy from the University of Calgary. Over the years, including his time in the military, Rick has volunteered his time to many organizations. He has been the President of the Association of Manitoba Museums; a founding director and treasurer of the Manitoba Heritage Federation; Director of policy for the Normandeau Society in Red Deer; President of the Cranbrook and District Search and Rescue Society; and Area Air Deputy Commander, Cranbrook Air Search and Rescue. Rick and his wife Mary Ann moved to Kemptville in 2012 to be close to their grandchildren. Rick joined NVOC in October of 2015. Gordon Jenkins is a native of Ottawa. He is married with 3 children. He won a scholarship from the Canadian Military to attend university. He selected the university furthest from home (then Toronto) and went to Acadia University in Nova Scotia. Upon graduating from Acadia, Gord was chosen as Life President of his Class. He went to basic training for three phases /summers in Camp Borden and was selected best Graduating Cadet before serving with the Canadian Army (Regular Force), Royal Canadian Army Service Corps (Air Supply/Air Movements/Shooting Instructor) in NORAD, NATO France and Germany and Peacekeeping including UNEF1 Gaza Strip and Lebanon where he spent an inordinate amount of time! After deciding that the military was a young man's game he transferred (without losing a pensionable day) to the federal government at Public Works Canada (DPW). He became the Director of Administration with 10 different sections (after doing a study of the administration the Deputy Minister (DM) made the horrible decision to have him implement his recommendations). He then became the Departmental Treasurer before being selected by the DM for assignment to the Royal Bank of Canada HQ in Toronto. After 35 years in military and federal government Gord retired and started his own consultancy firm in Electronic Banking. He then worked, accompanied by his wife, for 2 ½ years in Sweden then on to Hong Kong, Canberra, and Singapore before finishing off in New Delhi. 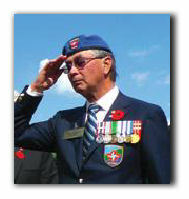 He is currently National President of the NATO Veterans Organisation of Canada (www.natoveterans.org). 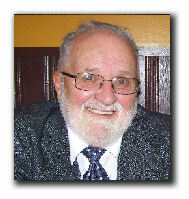 He is also Past President of the General Burns Community Association in Ward 9 (www.generalburns.ca). He has been a Freemason for over 50 years. © 2016 NATO Veterans Organization of Canada. All rights reserved.